The story, based on the Hajime Isayama’s manga of the same name, focuses initially on Eren and adopted-sister Mikasa, whose walled city comes under attach by Titans- humanoid, gargantuan monstrosities that break through the walls and start devouring the townspeople and destroying his home. After the death of his mother at the hands of a Titan, Eren is consumed with the spirit of revenge, and is determined to rid the world of the Titan threat once and for all. 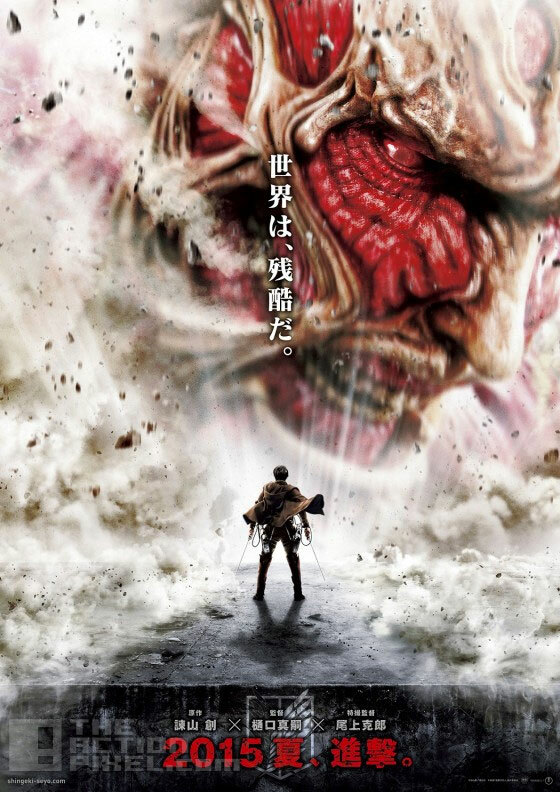 Attack on Titan will span two films, the first live-action movie will open in August of 2015, and the second will premiere in September 2016.